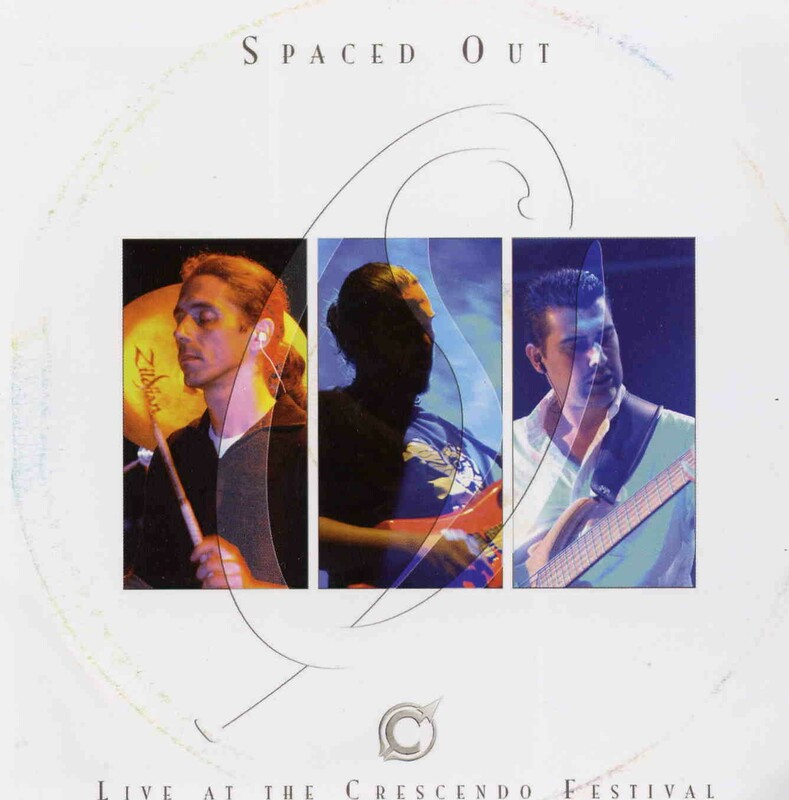 Spaced Out are a Canadian band whose music has been described as jazz-oriented progressive rock. The band, formed in 1998 by bassist and composer Antoine Fafard, have released four studio albums, the latest being 2006’s “Unstable Matter”. “Live At The Crescendo Festival” (simultaneously released as a DVD) is their first live CD, although a live DVD from 2000 also exists. The current live disc was recorded at the Crescendo Festival in France on the 18th of August 2006. Despite the name, Spaced Out are anything but spacerock. Rather, their sound blends instrumental neo-progressive rock with fusion and metal to create a dazzling and intense display of musical virtuosity. It is hard to believe this is the work of a guitar/bass/percussion trio playing live on stage. The music is so dense and multi-layered that it sounds like there are at least five players on the stage at any one time, and it can be difficult to know exactly who is playing what, with multiple guitar lines and keyboards magically appearing in the mix. Indeed they make fellow Canadian power-trio Rush sound quite laid back by comparison. Musically, Spaced Out come across like an updated take on Liquid Tension Experiment, complete with King Crimson-like odd time signatures, particularly on “The Lost Train”, and metal-edged guitar from Marc Tremblay (who joined the band in time for 2003‘s “Slow Gin“ CD release). An element of funk also works its way into the sonic cocktail, with Fafard’s bass solo on “The Fifth Dimension” sounding like Stanley Clarke at his finest. “Live At The Crescendo Festival” serves as a great introduction to a band of technically-accomplished musicians, and should appeal to fans of funk, fusion, metal and Dream Theater-style progressive rock. Check them out, and be amazed!